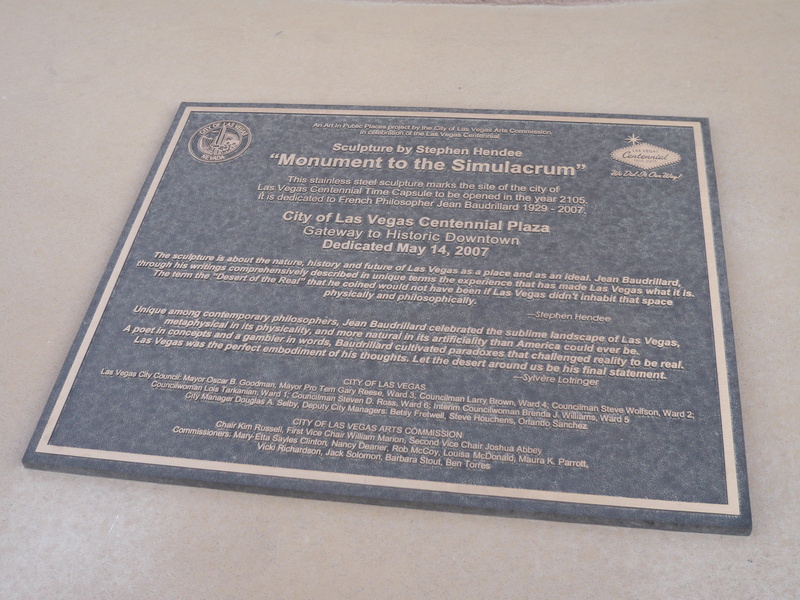 In 2005, the city of Las Vegas, Nevada, celebrated its 100th anniversary. 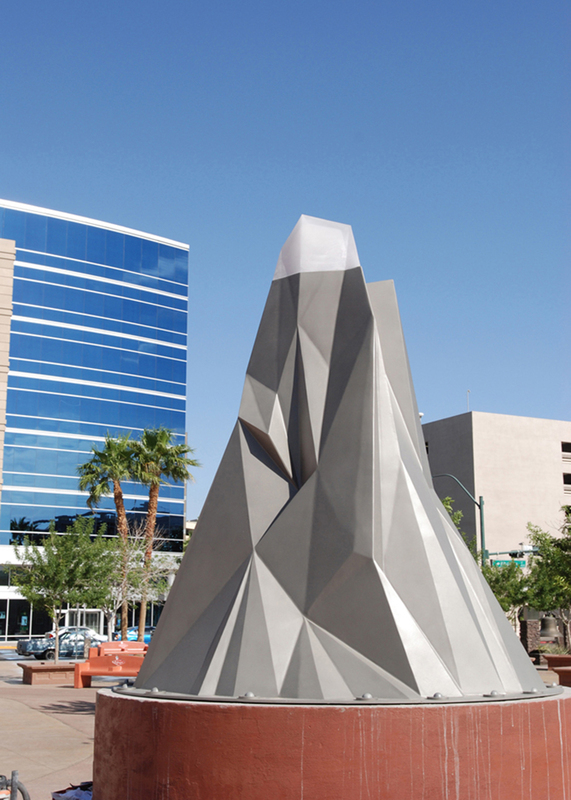 To commemorate the occasion, the city commissioned artist Stephen Hendee to create a permanent public sculpture above a steel time capsule to be buried beneath Centennial Plaza in downtown Las Vegas. 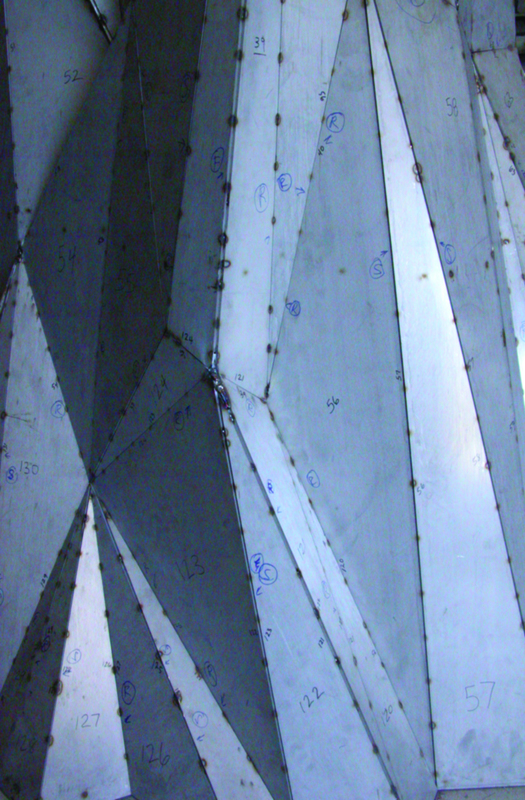 The work is titled Monument to the Simulacrum, pictured at left. 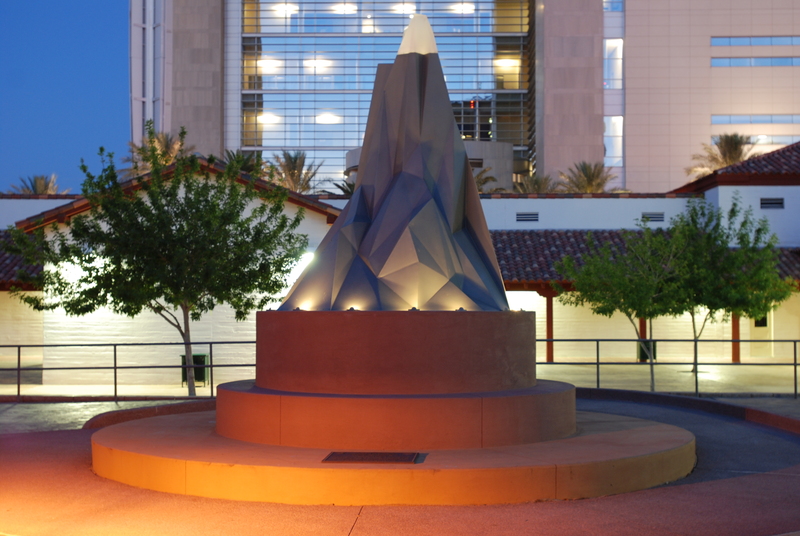 On Thursday, December 15, 2005, the sealed time capsule was lowered into the ground and covered with concrete. Included in the capsule were objects and ephemera curated by a small group of scholars and public dignitaries. 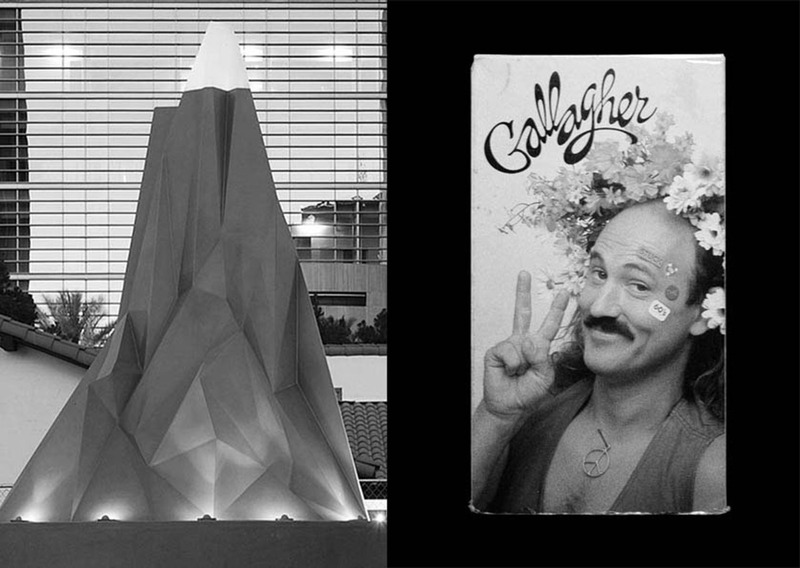 Among those invited to submit an item for inclusion was visiting artist Charles Gute, who provided the artifact pictured at right: a VHS video recording of the 1983 made-for-TV special Stuck in the 60s by prop comedian and 2003 California gubernatorial candidate Gallagher. The time capsule, officially dedicated to the French philosopher Jean Baudrillard in March 2007, is scheduled to be opened in the year 2105. I will not waste your time with advice or a “message” from the past. After all, I do not know anything about you or your situation. Americans of my time are fond of believing that we will be the very last generation to enjoy a normal life. Either God is going to reach down and pull us up to heaven or we are going to destroy ourselves via nuclear holocaust or climate catastrophe. I think the belief that we live in end times is just a variety of self-love, a sort of “après nous le deluge” attitude. Of course I might be wrong and you, the reader, may be crawling through a post-apocalyptic landscape drinking rancid water from puddles in broken asphalt. Or you might spend your days gliding in your gown through a terrestrial utopia debating issues of abstract philosophy with your macrocephalic fellows . If I had to wager, I would bet that you just are some minor functionary doing your job. In any case, I would like to buy you a drink. In fact, I already have. The GPS coordinates of your drink are: [redacted] --° --´ --.--˝ N and ---° --´ --.--˝ W. Your drink is buried about two feet below the surface, beside a rock that looks vaguely like a tombstone. Bring a shovel or subsoil transporter or whatever your equivalent might be. You have probably developed highly advanced underground scanning technology that will enable you to find your drink easily but, if not, a simple metal-detector should suffice. I realize that the location is some distance from Las Vegas, but, it being the future, I assume that you have access to cheap and efficient transport. 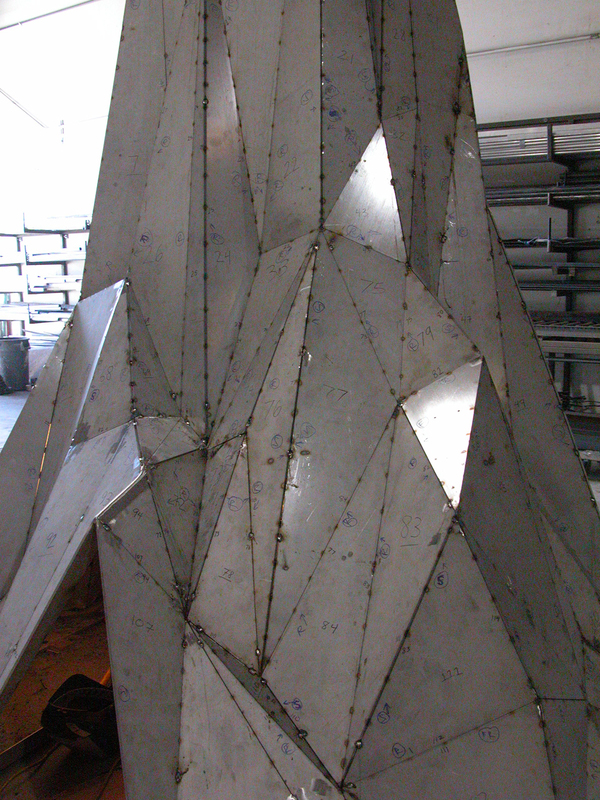 So, have a drink on me – your primitive forerunner. As long as you don’t live in some sort of hyper-Puritanical repressive society, I think you will enjoy it. If you bear any grudge toward the past, I hope this provides some succor. And if not, that’s no skin off my nose . After all, what have you ever done for the past? Americans in 2007 believe that advanced beings living in Utopia must wear robes. I don’t know why. “No skin off my nose”: 20th century American idiom meaning “no concern of mine”.